I have wanted to get this Tarte Shape Tape Concealer since the whole makeup world seemed to go mad about it. I don’t think anybody can deny that when people use this is looks completely flawless and perfected on their skin. As much as I wanted to wait to try it out, I wanted to give myself some time to look at reviews and videos to see how to performs before I go ahead and spend my hard-earned cash on it. For a very long time now, I have been sceptical about trying a makeup item out as soon as it is released because I want to see the genuine reviews from people who have actually paid for the product themselves. Anyway, when I tried to buy this Tarte Shape Tape Concealer I realised that it was only sold exclusively in Ulta in the US, which meant that I couldn’t pick it up in my Sephora order. The only place that you get can get this here in the UK is through QVC or direct from Tarte themselves. When I looked into QVC I noticed that they charge a ridiculous amount for this because they know that makeup crazy people like me will pay above the odds for it, and they don’t even stock all of the shades. I then looked into ordering directly from Tarte direct and with shipping from the US you end up paying import taxes, which ends up costing an arm and a leg! So, I just sat back and waited. I knew that I wasn’t in any rush for it and I would get it when there was an offer on. The good thing about Tarte themselves is that they quite often have quite a few free shipping weekends throughout the year, especially when it is the American holidays. Then when they had one of these offers on I went online and snatched one up, so in the end I paid £19 for the product and £3 for taxes and VAT, which I thought was quite fair for such a highly sort after concealer. I ordered it on a bank holiday Monday and I got it exactly one week later, which I think is really reasonable to say the distance that it had to travel to get to me. Plus, there DHL and then Yodel tracking system is really good and updates you every step of the process, which is exactly what I like when I have bought something, I like to know where my money is bouncing around. I would be more than happy buying from Tarte again, but I would wait for free shipping. I worked it out if I didn’t get the free shipping, I would have ended up paying £39, plus any import taxes that they add on at the end. As soon as this come in through the post I had to try it out almost straight away. When I first started using it I just tried it using foundations that I know work well for me, so I could really see how the concealer performed on its own. Pretty much straight away I knew that I loved it. Any full coverage concealer in my book is a winner and this one has well and truly stolen my heart. I have been trying out quite a couple concealers recently and I have to admit that this one really is my number one at the moment. I can see why it is very hard to try and beat this Tarte Shape Tape Concealer. I have just been using this anywhere that I would normally conceal/highlight with any other product, so I pop it in the centre of my forehead, down the bridge of my nose, underneath my eyes and in the centre of my chin. Then I blend it all out using my damp Beauty Blender. I don’t think I would ever another tool to blend in concealer after using this. And I think the Beauty Blender is perfect for blending this with it being such a full coverage product and it helps to remove any access product that may be sitting on the skin. The first thing that I really want to mention about this product is the packaging. I love that this comes in a tube with a doe-foot applicator. I know that some people aren’t really keen on an applicator like this for hygiene reasons, especially if you suffer with breakouts, but I personally really like it. I love that the doe-foot is absolutely huge, and it gets the job done really quickly. I also think that the applicator picks up the perfect amount of product each time you dip it back into the tube, that is my only bugbear with the Nars Radiant Creamy Concealer that it doesn’t pick up enough concealer! airbrushes everything out and makes me look really smooth and even. At the moment I have quite a bit of blue underneath my eyes thanks to a couple restless nights, but this hides everything, and you wouldn’t even know that I am running on empty. 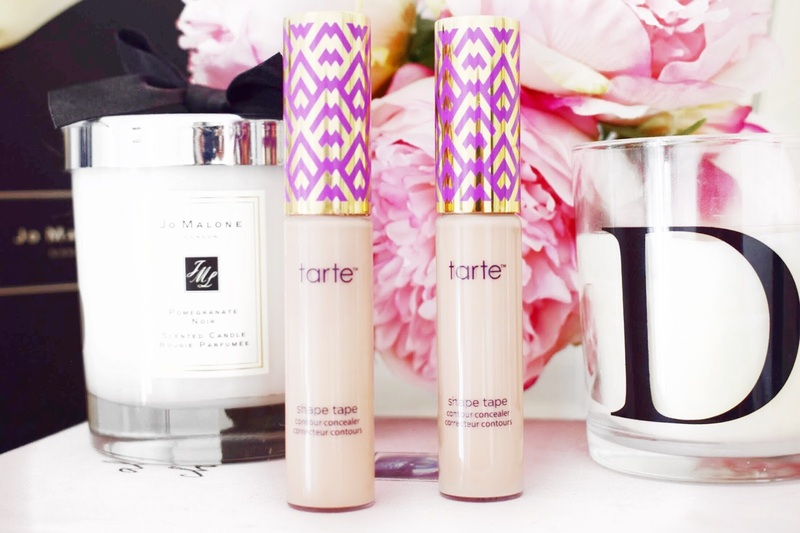 With this Tarte Shape Tape concealer, you get a very good amount of product in the tube. With this concealer you get 10ml of product, which is more than you get in a standard concealer which is usually around the 7ml mark. I know that it isn’t a huge difference to what the standard amount of product is, but I am very grateful to get anything that is over the standard amount because at the end of the day, the brand does not have to do it. Plus, with how pigmented this concealer is, I can see a 10ml tube lasting me a very long time indeed, which is incredible for the price point. 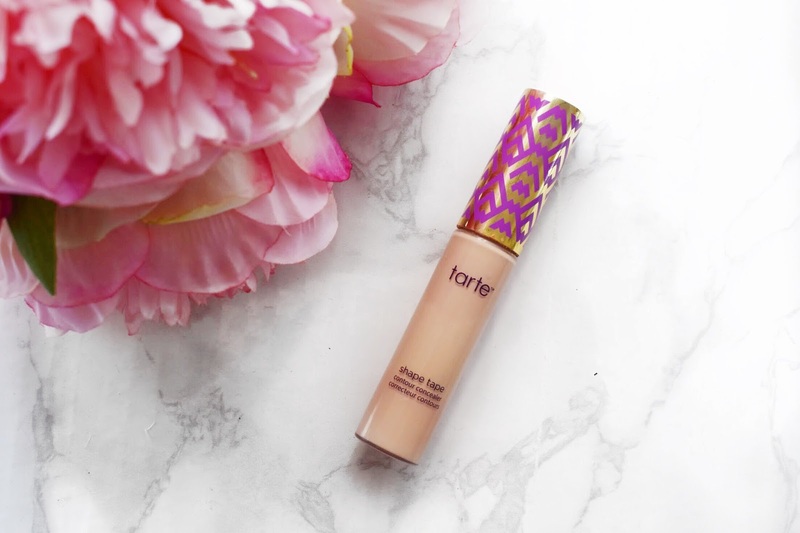 I think that you can probably see from this post that I am completely smitten with this Tarte Shape Tape Concealer. I know that I am going to continue using this and it will be a part of my daily makeup routine for a very long time. I think the coverage is out of this world, the price is reasonable, the applicator is ideal, and the consistency is perfection. I will leave a link to this down below in case you want to check it out for yourself. Make sure to leave me a comment and let me know if you have tried this out and what you thought about it! I need this for under my eyes because of the coverage! I'm so tempted to get the Shape Tape and I think the coverage is what is putting me off. Do I really want something THAT full coverage on my skin? (I know, weird thing to wonder) but I'm still so tempted! Even the coverage of this concealer is intense, when you blend it out with something like a Beauty Blender, you can get a lighter coverage! Great review, and I personally like the product too. Concealer is my number one makeup must-have! It is a great concealer, the coverage is out of this world! I love it, I use it all the time! I have been using concealer even on days when I am wearing any makeup, I love it! I haven't tried this one but a lot of fellow bloggers seem to enjoy it. It is a great high coverage concealer!